2017 Update: This 335is/550i clutch setup held up great for 22k hard miles! I have absolutely no complaints. In June I decided to upgrade to MMP Stage 3 turbos and chase 700whp. I knew this clutch setup wouldn’t hold, so I removed it and replaced it with a SPEC Stage 3+ unit. After turning up the boost on my stock turbos, the factory clutch started to slip. I decided it was time to upgrade so I could enjoy my 135i to it’s full potential. From SPEC to ACT, there are plenty of aftermarket options available. Then I found the 335is/550i clutch upgrade on ECSTuning, so I started to do some research. 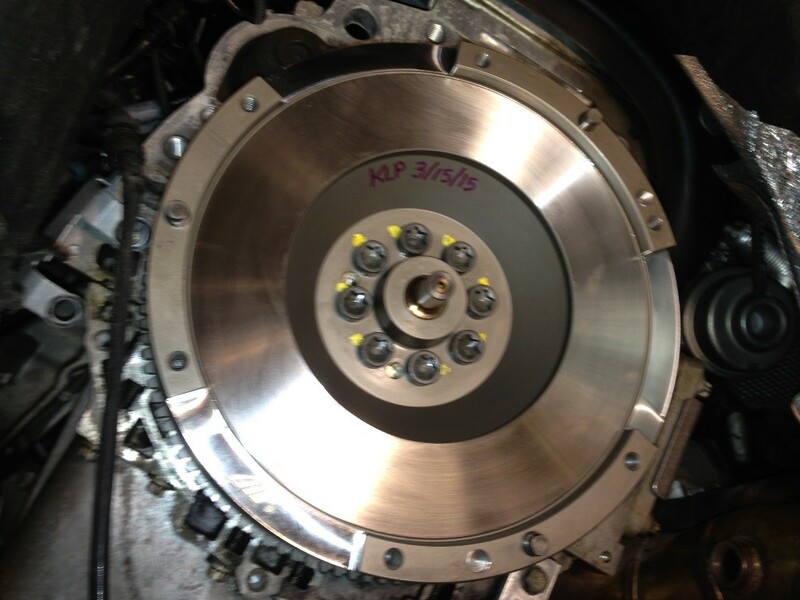 This clutch comes factory in the F10 550i, which puts down 443 tq and weighs a whopping 4552 lbs. DINAN doesn’t offer a clutch upgrade for their different stages of 550i’s, so apparently they feel that it is adequate. Their Stage 3 550i puts down 580 tq and they kept the factory clutch. 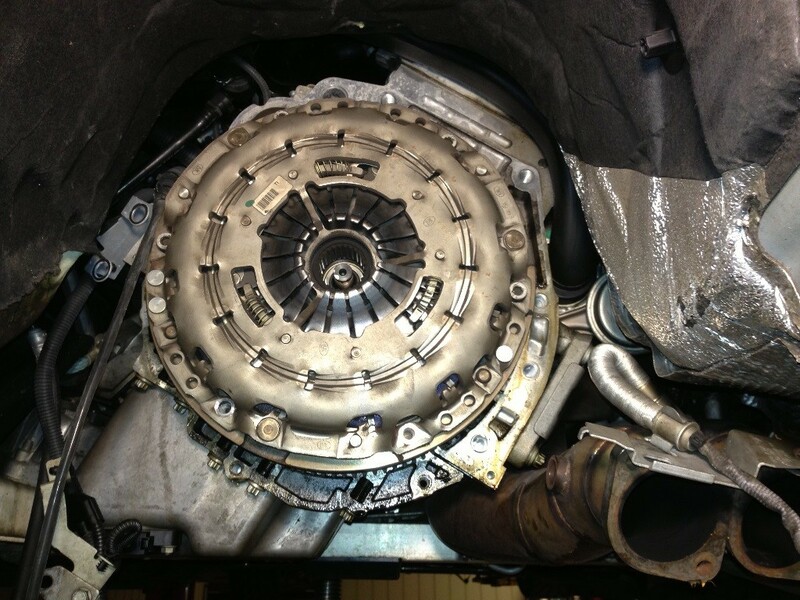 Also, someone on the forums is using this clutch and claims that it is holding at over 620wtq on aftermarket turbos. To me, it sounds like the clutch is severely underrated. My 135i won’t see more than 500 tq anytime soon. I’d guess that it is currently around 420whp/465wtq, but only weighs 3300 lbs! 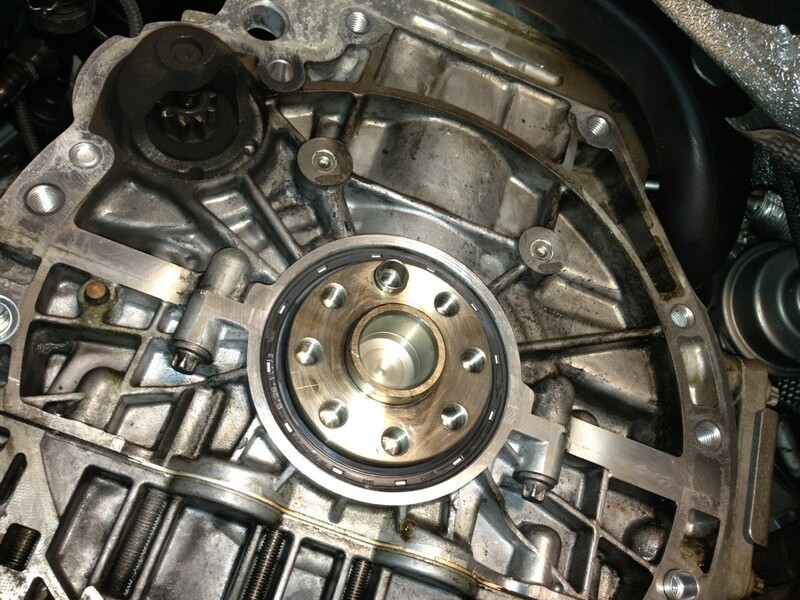 When replacing your clutch, I highly advise that you also replace the factory dual-mass flywheel (DMFW). The springs wear over time and will eventually let go. 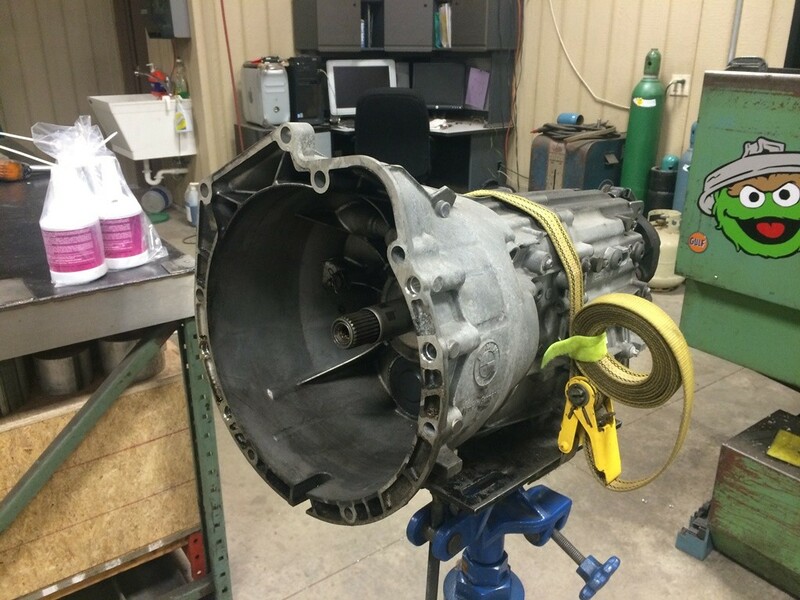 You can either replace it with a new DMFW or an aftermarket single-mass flywheel (SMFW). DMFW vs. SMFW could be debated for hours, but it all comes down to what you want out of the car. I chose to go with a MFactory SMFW because I care more about performance and I know at some point, I’ll be upgrading turbos on my car. If your car’s build date is BEFORE 01/2009, you will need the 8 bolt SMFW. If your car’s build date is AFTER 01/2009, you will need the 6 bolt SMFW. If you choose to stick with an OEM-like DMFW, you should opt for a LUK DMFW. They are an OE manufacturer for BMW flywheels and make a great product. Again, if your car’s build date is BEFORE 01/2009, you will need the 8 bolt DMFW. If your car’s build date is AFTER 01/2009, you will need the 6 bolt DMFW. Let’s get down to the dirty stuff… old clutch: Still some life left on the friction disc, but some slipping spots with heat damage on the pressure plate. Everything else was ‘okay’. 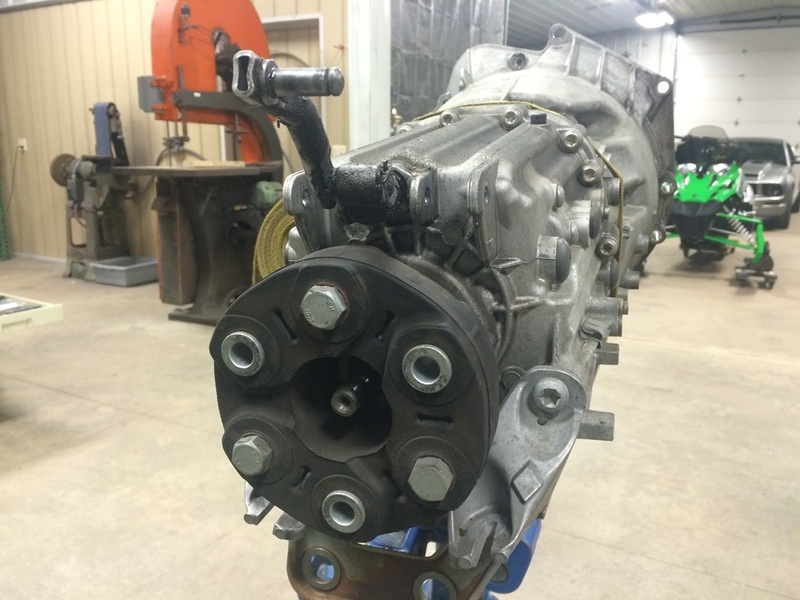 The new rear main seal was installed and the transmission was removed. See those two bottles of Redline D4 ATF on the table? We drained the old fluid out and added about 1.5 quarts until it started overflowing. After that, the new clutch and flywheel were bolted on. Lastly, everything goes back together in reverse order. Obviously I didn’t get pictures of everything during the install, but it all went together flawlessly. Big thanks to my buddy Kevin, who did an awesome job with the install. He took great care of the car! What clutch alignment tool did you use? If you have a link that would be awesome. I can’t remember. My buddy Kevin did the clutch job while I worked on some other stuff. He had his own alignment tool from previous N54 cars. How has the clutch been holding up? Any new information or thoughts on this clutch? Clutch has been holding up great! It’s definitely being put to the test. Almost Over 8,000 hard miles on it. Took the car to the drags a few times and have done many pulls. No slipping. That is great to know, I have a 07 335i e92 FBO with meth and clutch is going out, was on the fence between the spec 2+ and the 335is clutch. I want to take the car to the track and the drag strip. Was afraid of having to do the clutch job twice if I went with the 335is clutch, but I guess ill give it a try! Mine has been holding up for over 11,000 miles now. Lots of hard driving with E85. Hopefully you like it as much as I do! How are you liking the M Factory flywheel? In previous cars I have experienced a lot of noise when swapping flywheels, how are the noise levels with this one? Ace, the flywheel feels great and holds the power. This makes evnyrthieg so completely painless. Hey! 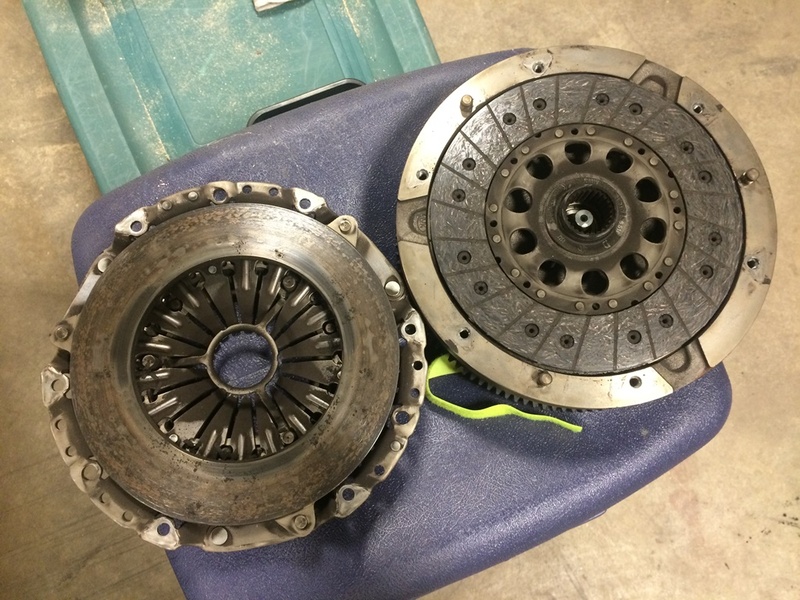 I came across your blog through one of the forums, and while scrolling through, I found that we have the exact same clutch and flywheel setup! Mine’s currently got about 3k miles on it and feels super good. Nice! I have over 11,000 hard miles on mine now and it’s holding up great. Obviously the clutch itself is from the 550i and the flywheel is aftermarket, but regarding all the bolts and bearings were they for the 135i? Or is everything you bought in the clutch kit 550i specific? The rest of it is 1-series specific. The seals and bearings for sure. Did you only use 1 set of the Aluminum Bolts (5)? I thought there were more than just 5 bolts holding the transmission to the engine. Asking because I’m using this list to buy all the supplies for my clutch job. Thanks! Yes, only 1 set of 5 is required. There are more bolts, but they are not aluhttp://my1series.com/wp-admin/edit-comments.php#comments-formminum and can be reused. What 550i model/age is this clutch from? It is from the F10 550i, the twin-turbo V8 model. Are you sure these get aluminum bolts – realoem says different? Yes, for my 135i they were aluminum. I don’t see why yours would be any different, but it’s possible I guess. Did you have to remove the air intake that is on the back of the head to get access to the upper starter bolt and bell housing bolt? My buddy Kevin removed these bolts while I worked on the exhaust. Sorry I can’t help! What’s different about the shift fork that it also has to be changed? It’s the shift fork lever that was replaced. I’m not sure of the differences, but it comes with the kit so we installed it. I’ve been running it at an estimated 425whp/465wtq without an issue. I’ve read of people going over 500whp without a problem, but no facts to back it up. I should be pushing close to that now that I’m FBO E85 with inlets. We will see! Funny, couldn’t you have eliminated more chatter using a smfw clutch disk instead of the solid 335is clutch disk without springs? I chose the 335is/550i clutch disc because it was significantly cheaper than other aftermarket options. Sorry I didn’t reply earlier! I’ve had good luck with the NGK 5992 plugs, gapped at 0.020″. Thank you thank you thank you! Your website is such a great resource. Thanks for taking the time to write and post pics of what’s doin’. Much appreciated. Everything has been holding up just fine. I’ve been VERY hard on the car for about 18k miles now with the upgraded clutch. Tons of launches and roll races. No slipping. How is your engagement? I just had this exact setup installed. The chatter at idle has been remedied by raising the idle to 900rpm, but in-gear chatter at low rpm and load >2300rpm is really terrible. The clutch grabs extremely high and the pedal feels like it has a bit of a hiccup / stick in the first 1/2″ of travel. The engagement for me is completely normal. I don’t feel any hiccups or sticking – no complaints. I also raised my idle to accommodate for the chatter. Going to do this also. My clutch began to slip today actually so i’llbe doing this upgrade ASAP. I was going to switch to SMFW, but this… The DMFW is installed by the same genius engineers that designed the N54, which we love… Not sure why I would think the SMFW is a better option than their spec… Just my thoughts. Interesting take on SMFW vs. DMFW. I’ve had absolutely no issues with my SMFW. It’s been thousands of miles and it’s been ABUSED. Still holding up strong, no slipping or odd noises – I’m happy with my decision. It looks like that video has more “thumbs down” than “thumbs up”, and the comments are disabled. In my opinion, that shows they’re worried others will prove their theory wrong. Hey i planing on doing this on my fbo 335i but with the DMFW insted… Will IT hold the same power as with the SMFW? I have no E85 yet. Yes, you should have no problem with the DMFW. I just chose the SMFW because I know I’ll want more power eventually. 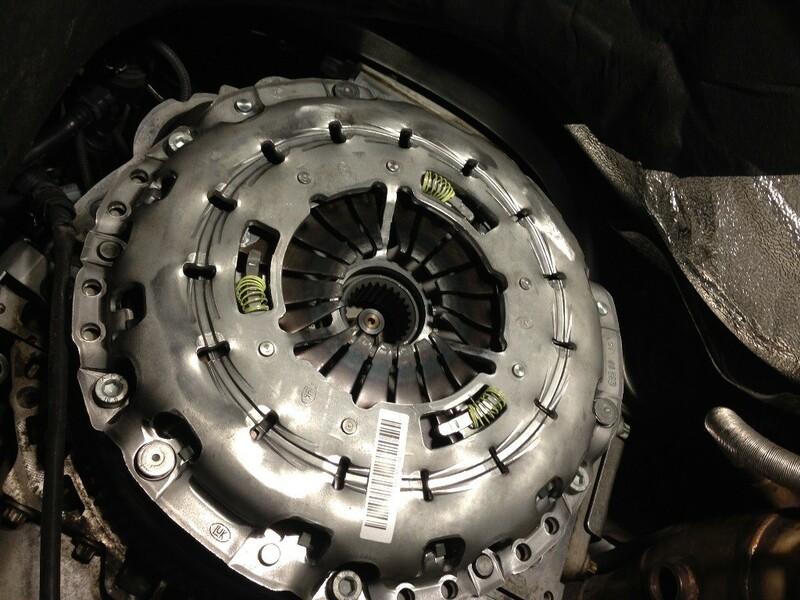 Do you remember if the new clutch disc was sprung or unsprung? Im looking at the LUK kits as i see in your pics and ECS, that its a LUK clutch not BMW OEM. i come up with 2 numbers 03-079 and 03-081, matching the above numbers respectively. I’ve gotta upgrade the clutch on my 135i, its not even close to FBO, just 95k miles and started to let go first time I took it to the track. Good write up and thanks! Hey Mike, I’m glad you like the write-up! The clutch disc was unsprung. However, I’ve since replaced the clutch with a Spec Stage 3+ because I upgraded turbos and am chasing more power. The 335is/550i clutch was great to me, never slipped! I have a e90 n54 and im gonna replace the clutch with a 335is clutch and i want a steel smfw. Im just having trouble finding the correct compatible parts to order. Would these same parts (clutch/smfw) work, if not can someone point me in the right direction. Thanks. I believe they will fit, but you should double-check with ECSTuning or whichever vendor you plan on purchasing from. Hey could you explain to me how to do the rear main. Is it true it has to go in a certain depth? I’m not 100% sure about this. My friend Kevin did the clutch install on the car while I worked on other parts of the car. Why did you use the D4 redline vs MTL Manual Transmission Fluid 75w80? I see the D4 is less expensive service kit on ecs. Just wondering if you had better luck vs the other redline I mentioned. Thanks. I’ve had a better experience with the ATF D4 in these transmissions. It’s smoother, grinds less and is better in hold/cold temps. That’s just my opinion!